Get a $50 prepaid Visa with the purchase of an OmniHub Smart Control system and to have it installed by a pool professional lo receive a rebate. This coupon is valid on purchases made from March 1 to September 30, 2019. See Rebate PDF form for full details. This prepaid visa card is only valid for owners of pools installed before December 31, 2018 on the purchase of a Salt Chlorinator unit from Hayward®. This coupon is valid on purchases made from March 1 to September 30, 2019. See Rebate PDF form for full details. Get a $100 prepaid Visa with the purchase suction pool cleaner from Hayward® This coupon is valid on purchases made from March 1 to September 30, 2019. See Rebate PDF form for full details. Purchase a Hayward variable speed pump and have it installed by a pool professional to receive a $75 Visa Prepaid Card. Valid on purchases with installations made from March 1 to September 30, 2019. See Rebate PDF form for full details. Purchase a Hayward VS Omni pump with smart pool control and have it installed by a pool professional to receive a $125 Visa Prepaid Card. Valid on purchases with installations made from March 1 to September 30, 2019. See Rebate PDF form for full details. This mail-in rebate is valid towards the purchase of an AquaVac or Tigershark Robotic Pool Cleaner from Hayward* . This coupon is valid on purchases made from March 1 to September 30, 2019. See PDF for full details. Get a $75 prepaid Visa with the purchase of an eVac Pro Robotic Cleaner. This coupon is valid on purchases made from April 1 to July 30, 2019. See Rebate PDF form for full details. For IPG Dealers Only. Get a $75 prepaid Visa with the purchase of an eVac Pro Robotic Cleaner. This coupon is valid on purchases made from April 1 to July 30, 2019. See Rebate PDF form for full details. For Leisurescapes Dealers Only. 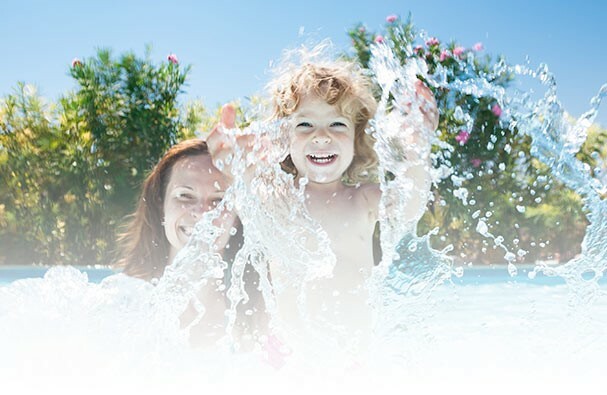 Clearwater Pools was established in 1989 and assumed management of Triple "S" Pools, continuing a legacy in the swimming pool and hot tub industry which spans over 30 years in St. John's, Newfoundland. "We offer our above ground swimming pools both round and oval in complete kit packages. As usual, we refuse to bring in low-end swimming pools. If we can't stand behind it we are not selling it! You will only find premium swimming pool and hot tub products when shopping at Clearwater Pools." Water testing, chemicals, accessories, toys, games, and most of all… a professional and knowledgeable staff that will help keep your investment in the best possible condition.